On December 19, 2016 the FDA finalized their ruling to ban powdered surgical gloves, powdered patient examination gloves, and absorbable powder used for lubricating surgical gloves. The FDA ruled these products to be a substantial risk to health care providers, patients and other individuals. VWR and our glove suppliers have been working on moving towards powder-free gloves, which have been shown to be safer for both patients and healthcare workers. Over the past months, we have taken proactive steps to discontinue powdered medical grade gloves and expand our powder-free offering. We have now completed the process and all banned gloves have been discontinued for sale. What do you need to know? The FDA ban only involves powdered gloves that are medical grade. 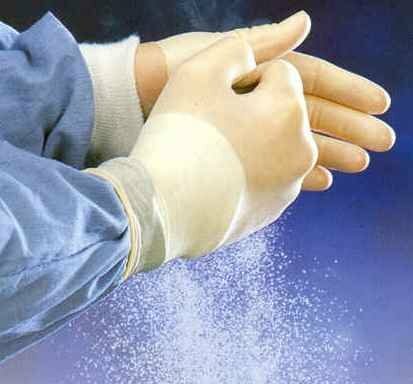 Powdered gloves that are considered industrial grade or used in any application other than a medical setting are still considered usable. What do you need to do? Based on the FDA’s recommendation, VWR is advising our customers to take a look at the gloves in your facilities. If any are powdered and labeled exam or medical grade, please discard immediately. If you have purchased any of these affected products from us in the past few years, you will receive a separate communication from us.